Commissioning a new system for a manufacturing plant requires software assistance to plan effectively and with digital twinning, manufacturers can optimize its ongoing operations. Planning can be time-consuming, but when adding to an existing building like a house, it could be the difference be-tween a crumbling foundation and your dream home. To make the process smoother, architects employ specialist soft-ware that allows them to draw the designs and integrate the electrical and plumbing elements of the existing structure into the plan. Architects can then review the plans to ensure compliance with regulations, the practicalities of the design and eliminate any potential issues. However, while CAD plans are often used for planning system installations in manufacturing plants, the software is often limited by the variables that arise during operation. As a result, we’re seeing a shift towards virtual commissioning technology and other forms of simulation software in the industrial sector. Virtual commissioning allows manufacturers to build and run a new factory process line virtually, before building it in the physical world. This includes simulating an exact replica of the line with its current automation system and network in a virtual realm, which is then modified to add in any new equipment. Virtual commissioning allows plant engineers to program robots and automation systems in the virtual world. They then run virtual tests, and any discovered issues can be resolved in advance to significantly reduce costs and the system’s start-up time. 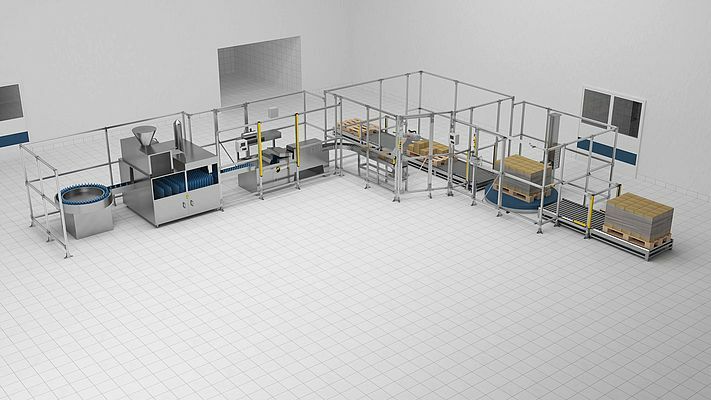 For example, if a plant manager plans to install a new robotic cell to pick product from a conveyor and place the product in a box at a certain rate per minute, the line can be choreographed and tested virtually. This ensures that the robot can perform the movements and required manoeuvres in conjunction with the flow of product and packaging. With a virtual process architecture, various scenarios can be run, and the automation software programmed without having to stop production on the physical line. By using virtual commissioning, manufacturers can also eliminate operational inefficiencies in their existing lines to boost productivity. ABB’s Ability RobotStudio, can simulate the different processes in a food and beverage plant so that managers can identify what strategies should be revised to provide better quality and increase output. For the ongoing support and maintenance of equipment, managers can also integrate other simulation software like digital twinning applications. A digital twin works by simulating an exact replica of an asset, subsystem or system and combines digital aspects of the equipment such as the design model with real-time aspects of how it operates and is maintained, to offer insights into the condition of equipment and the likelihood of any part failures. While virtual commissioning creates a safe space for engineers to test and make sure the right mix of components are being used in their application, digital twinning offers managers further verification of the overall 3-D design. By using simulation software like ABB’s in the planning stages of this process, plant managers can calculate figures such as the optimum use of supply resources to meet consumption schedules, to make improvements in the whole supply chain. The steps required to extend or adjust your factory are very similar to that of adding to your home. 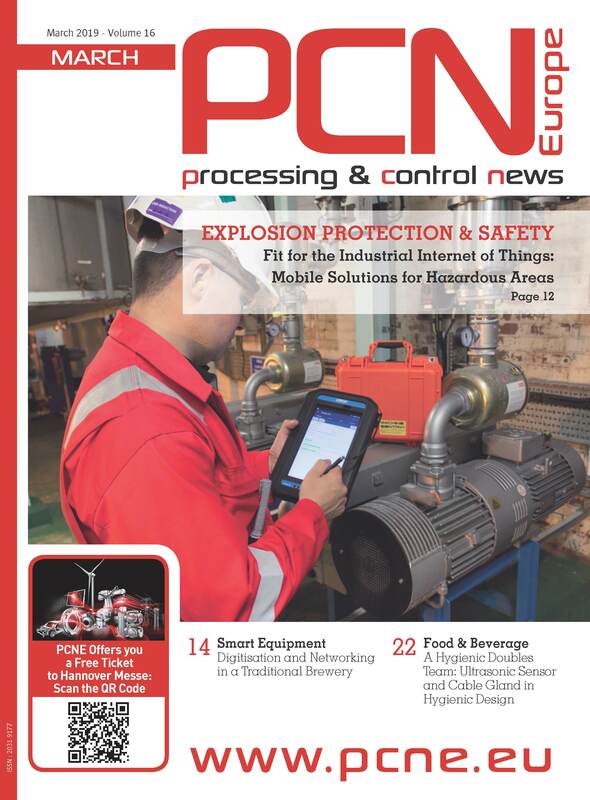 Disruptive delays or problems not identified in the initial stages can be costly, but with virtual commissioning, food and beverage manufacturers can review the final model before deployment to address any issues and avoid any unexpected costs.